McDonalds started selling fast food hamburgers in the US, starting in the 1940’s, and during the latter part of the war, Marguerite Patten was demonstrating, in Harrods, how to make them, ration book style. Whale meat was readily available and not rationed, but not very popular, and was sometimes used to make hamburgers on the home front, either mixed in with minced beef or on its own. 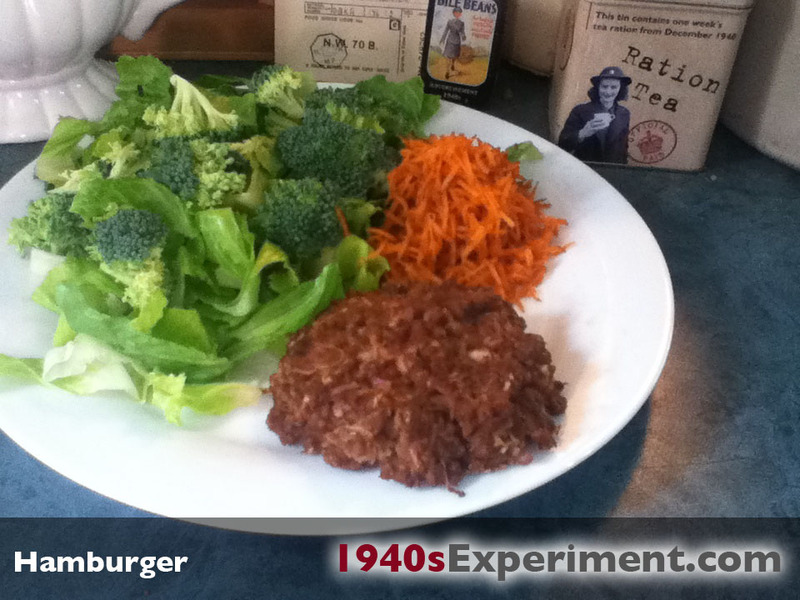 Here is a recipe for wartime hamburgers. I’m not about to eat beef or whale meat (being vegan) so I made my burgers with a meatless mince, but I’ve made hamburgers this way before, with beef (before I was vegan) and they taste really good! Serve with a large raw salad! 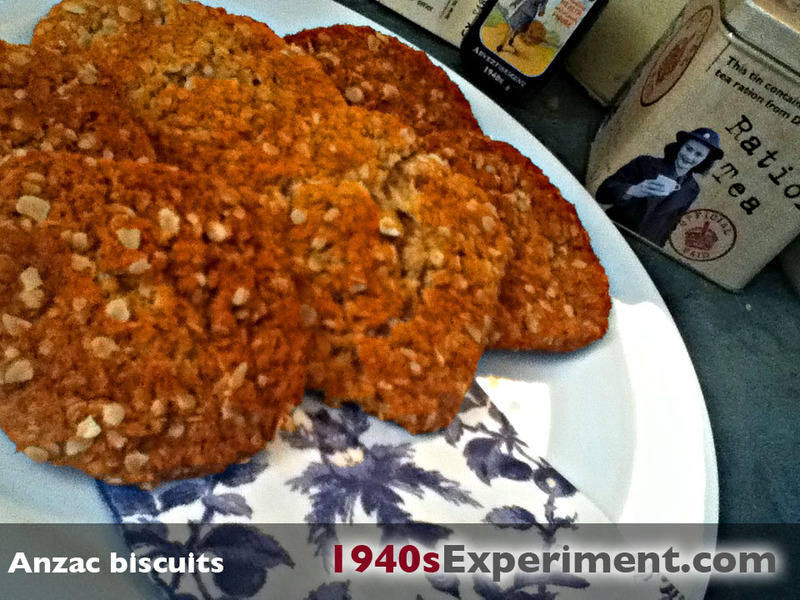 Anzac biscuits are a sweet biscuit popular with the Australia New Zealand Army Corps during WWI and 2 and remain popular today in both countries. 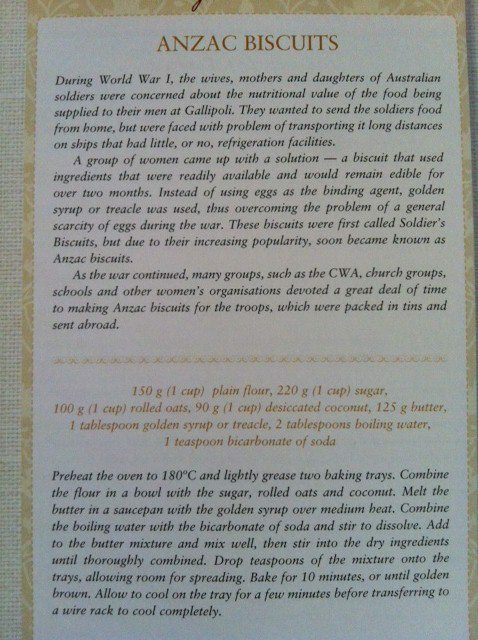 It was said wives and girlfriends sent these cookies to their husbands and lovers because the ingredients didn’t spoil and therefore would still be edible when received. These were DELICIOUS! Once again I couldn’t stop at one or two, I ate 5 and simply ate those with a cup of tea and a piece of fruit for my tea. 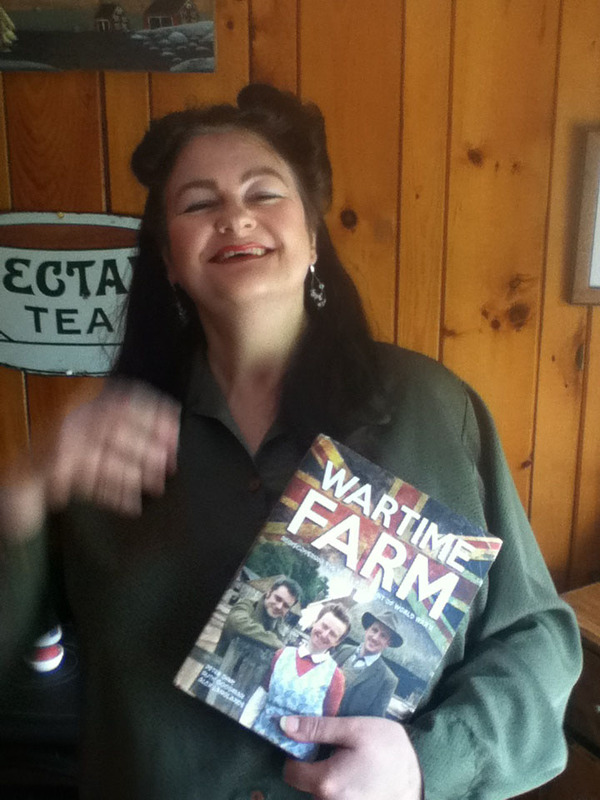 Wartime Farm- it came today! 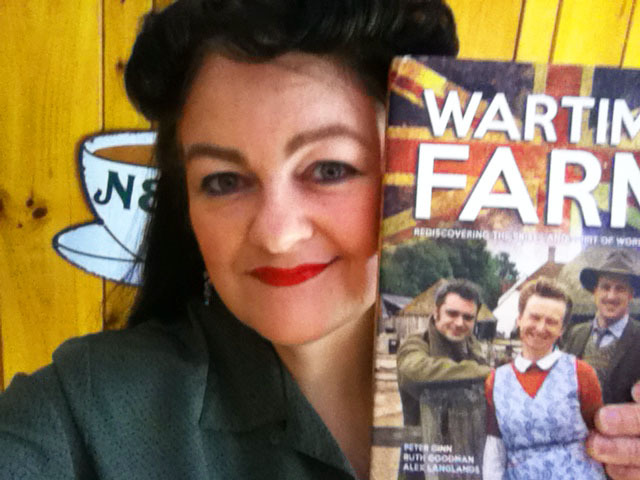 Thank you to Octopus Publishing for sending me a review copy of the “Wartime Farm” (the book to accompany the TV series currently running on the BBC) all the way from the UK! Seeing as I desperately wanted to get my hands on this and devour it, but funds did not allow, this was rather, fabulously timely, so, I will spend the next few days dissecting it and taking my pulse as I read, too see whether it excites me or not. My palms became slightly sweaty and everything else in the universe became white noise, as I opened the book and peaked at the first few pages… that HAS to be a good sign. I’ll be sure to post my review on here soon. 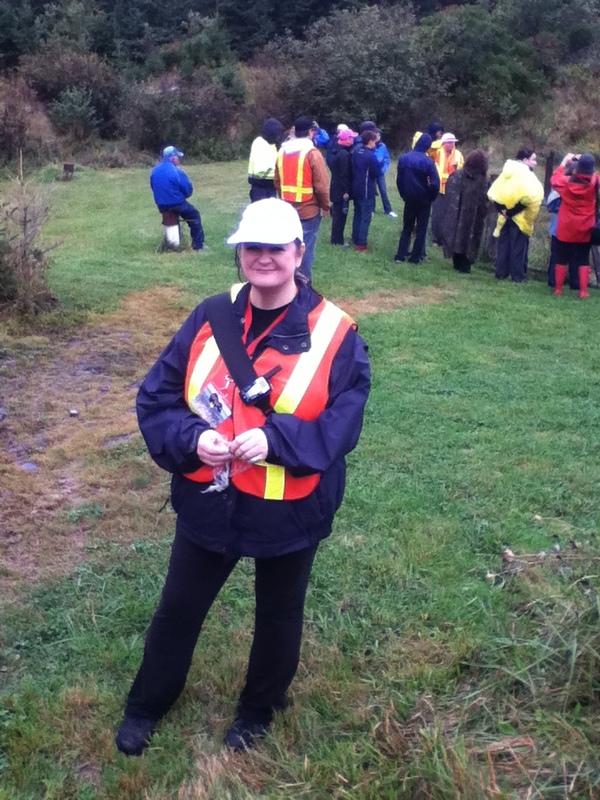 In the meantime, I spot a gas-mask, a chicken, Ruth, Alex and Peter and …..
One thing I am taking away with me from living for a full year on 1940s WW2 food rations (end of year is October 1st) is my realization and horror at the amount of food I was wasting prior to the experiment. I really thought I wasn’t wasteful, infact I tried quite hard not to be, BUT, until you really experience limited resources, and have to appreciate all that you have, it doesn’t hit home. Yesterday, I needed to buy groceries, I looked at all the marked down 50% off food stuffs on the shelves, there was so much of them. Later that day they would be in the trash, behind the supermarket, locked up and ready for transportation to landfill most likely. Such a shame.. I buy lots of my food at 50% off. Not only is it cheaper economically for me BUT there is nothing wrong with the food! I buy my mushrooms at 50% off, get them home, slice them up and freeze them! They work great in stews and stir fries! Yesterday I bought baguettes at 50% off and fed the kids and my eldest hobbits boyfriend with supersize sandwiches (1/2 a long baguette each) filled with organic lettuce and price reduced tomatoes, and a little cheese and bacon. I saved several dollars and some food waste.. It makes me sad to see so much waste, it makes me sad to see the food I am buying at 50% off, at the end of the day, will not be available to people who cannot afford to eat instead of it being removed to a waste site.. Lets appreciate the food we have, use it all up, don’t buy too much and if you see marked down food, consider buying it.. Enjoy watching the above talk at www.ted.com . 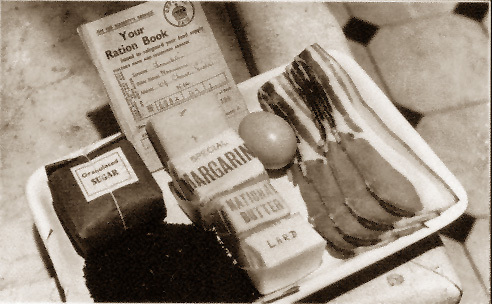 One of my favourite websites in the world..
I’ve been noticing more and more visits to the blog coming from other 1940s themed websites or people re-creating wartime recipes and trying them out (yay!!).. I’d love to start linking to these websites from the right hand column of my blog!